Features interviews with all of the starts of the original film in addition to members of the rock band Queen, the late Stan Lee, Marvel director James Gunn and many more! Eye-catching illustrated cover art will appeal to fans and collectors! Over 10,000 combined followers on social media including Facebook and Twitter! Limited Theatrical Release including Drafthouse Cinemas! The film has already received national press coverage on SyFy.com, FilmSchoolRejects.com, FlickeringMyth.com, Deadline.com, ComicBook.com and MANY more! 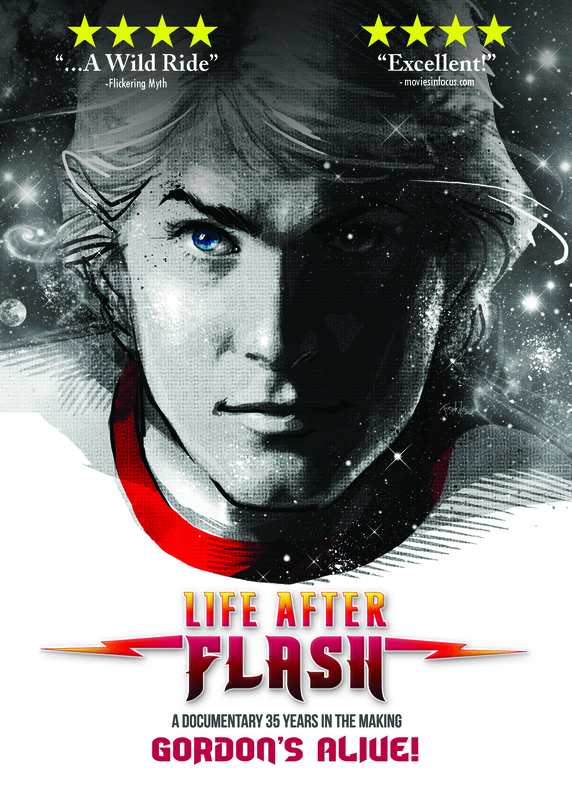 One of the most anticipated “fanboy” documentaries of 2019 about one of the most iconic actors in the comic book / sci-fi genre (Sam Jones) and the movie that made him infamous (Flash Gordon). 2019 is the 40th Anniversary of the Making of the cult classic movie FLASH GORDON! 4 STARS! 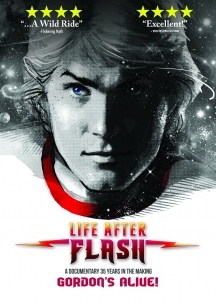 Life After Flash is a wild ride that has been planned out and executed well from director Lisa Downs... I do urge you to seek Life After Flash out and take a trip to Mongo and back. There's many bumps along the way but you'll have a blast all the same. One of nine films to watch. The most honest doc you would ever watch about working in Hollywood... Mark Millar, OBE A life-affirming tribute to a cult movie and its star who triumphed against the odds... a fascinating tale that all fans of the 1980 movie should seek out.